1. Improvement of the drive efficiency and increase the rear stability. Click the button below to add the EVO3-484RU-2A Alum. 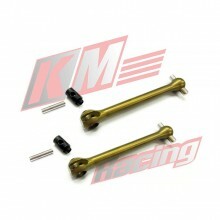 Rear Universal Shaft Joint ~ OUT OF STOCK ~ to your wish list.